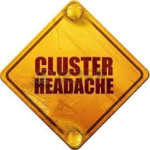 You think you are suffering from cluster headache or it might have already been diagnosed by you? Certainly one of the aboves, thatswhy you are reading this page. So if You are here please subscribe to this cluster map and then read onwards! Hereinafter, I will describe the cluster headache includnig the official definition amended with my own observations. So lets give it a start! Cluster headache is a typical male disease. Research shows that two and a half times more men than women come down with that. However two and a half times more women than men visit the doctor or search for any alternative therapy. Cluster headache is a very rare disease, only 0,07 – 0,7 % of humanity is affected. It has been already described by Gerard Van Swieten in 1745, but the mechanism and root cause have still not been clarified. The only thing it can be assumed with great certainty that the occasional „failure” of hypotalamus triggers the attacks. Part of my therapy is to fix that „failure”, however this is just a fraction of the real root causes. It commonly evolves around the age of thirties and there are two types of it. In case of Episodic Cluster headache the attack happens once in a year or two years at the same time of the year and it lasts for an average 6-8 weeks. As per my observations the recurring cycle happens in the same time of the year only during the first few years, later it happens unpredictably. Moreover each recurrence is different but unfortunately not in a positive manner. In most of the cases the daily cycle is also changing during one recurring cycle. Who so far had attacks during the day, complains about night attacks and vice versa. Another type is chronic Cluster headache that affects 15% of the patients. Here the attacks can last for even a year with a maximum break of one month. There are cases when the attack premanently lasts for several years and there is only a 1-2 days maximum 1 week period without symptoms. As per medical views, the cluster headache is the most painful disease at all! Women patients say it is more painful then giving birth. Its even call in ’maiden name’ as suicide headache. Many women raised the question how to take a child with cluster? As per observations, attacks do not happen durnig pregnancy and nursing. However in my practice it unfortunately happened that attacks restarted just few days after the chlidbirth and lasted througout the nursing period. The pain evolves in the area of the eyes, the temple, the forehead and the face, and can reach even the jaws. It often starts from behind the ears and expands ahead. It is typically a „one-side” pain that always evolves only one side in a period of attack. 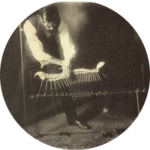 During my therapy, it happened sevaral times that pain was transposed to the other side in the same period of attack and finally ceased from there. The attack starts unexpectedly without any indication and reaches its peak in 2-15 minutes. The pain is intense and excruciating, lasts continuosly and does not pulsate. The lenghts of the attacks is between 20-120 mins and it goes away as quick as it has evolved. Acute cluster patients feel like they head is just going around before 5-10 mins of the attack, so they can predict the attack. Typical symptoms of the attacks are running nose or snuffles on the same side, eyes swimming with tears, red eyes, sweating on forehead and face. The attack can be accoompanied by nausea, puke, irritability to light, sound or smell. The patients are typically sit, stand or walk about, only in case of light attacks they can lay down, stay layed down. Root cause: Medcine containing nitroglicerin can trigger the attack almost all patienets during the cycle. This time the majority of the patients are more sensible even to a small amount of alcohol. As per patients’ observations, stress, extrem weather conditions and some food can also trigger the attack. Therapys: Patients are usually having long term – sometimes many years long – symptomatic treatments of many other kind of headaches, berofe the diagnosis of cluster hedache is set. As the number of medicene applied to this disease is narrow, researches focus on finding drugs that were developed for other diseases, but still have a positive effect on cluster headache (honestly there is no worldwide competition among pharmaceutical companies to find the real solution). In terms of medication, we differentiate between attack treatment and preventive, also called intervallum treatment. For attack treatment currently there is only one single effective medicine available in Hungary: injection or spray of Sumatriptán. It only ends the attack and costs 3-4 thousand HUF/pcs. The same way, 100% oxygen applied with a mask is only mitigates or ends the current attack, however as per my observations it only „ slices and delays” the attacks. Oxygen can also be prescibed by neurologists, however few of them does. It is either supported by National Insurance on basis level or not at all. Only medical oxygenbottle, mask and reductor is advised to be bought/used. The purchase and fill of portable, small oxygenbottles are quite difficult and expensive. Transition treatment: using products with triptan, steriod or ergotamin to reduce the number and/or strenghts of the attacks. As per my observations it works only for few people and became less effective with each and every attack cycle. Sustaining treatment: using products blocking calcium canal, products with litium, methysergid or products against epilepsy. Miscellanous products: indometacin, beta blockings, tricyclic or othet antidepressants, kapsacin; all those were tested with MODERATE success. Hereby I forewarn everybody from using any kind of illegal drugs advertised on internet, still lets see those ones here as well! Its about psilocybin and LSD. Psilocybin is the active substance of some hallocinogenic mushrooms, while LSD is a synthetic hallocinogenic drug. These drugs are used in the researches of cluster treatment in such a moderate quantity that does not cause any hallicination. There have been promising reseaches executed with 2-brom-LSD, which is a non-hallocinogenic derivative of LSD. Surgical intervention: this intervention is used as a last chance for chronic cases where patient is unreponsive to medical treatment. To sum it up, this is what I found important to share about cluster headache and its treatments. I strongly unedrline that the above ones are not scientific information and guidance for treatment! The above ones do not substitute professional medical diagnosis and treatment! The above mentioned therapys and medcines/products can only be used based on medical order and under medical control.